GFCI, also referred to as Ground Fault Circuit Interrupter is an outlet required on outdoor outlets or an outlet near a source of water. These outlets are not for motor driven appliances like driers and washers. GFCI is the protection device in order to protect people from severe electric shocks caused by an electrical system. This device operates to monitor the imbalance of current between grounded and ungrounded conductor. The power supply is equal to the current leaving the power supply and returning to the power supply in a 2 wire circuit. If the difference between both these currents exceeds 5mA, the circuitry opens the switching contacts and de-energizes the circuit. All these tools are economically priced so you don’t have to worry about spending too much. The non contact tester is used to check whether a circuit is hot implying it has voltage on it. On the other hand, the outlet tester is to ensure everything is properly wired. Now to replace the GFCI outlet, it is important to turn off the power first. Head over to electrical panel and turn off the circuit. Next, unscrew the short screws holding the faceplate to the outlet. Keep the plate and screws aside and to make sure the screws don’t get lost, put them upside down on the plate. The outlet is held to the box which needs to be removed. Remove the long screws and withdraw the outlet carefully. It’s the time to double check the power using the non contact tester. Check the black wire and see if there is any current or if it is still hot. Keep checking it from the point when you removed the faceplate. As you can see, all the connectors are covered with a wrap of electrical tape which is done for precaution purpose. Whenever you install an outlet or switch, make sure to wrap the wire with tape to prevent any accidental shocks if someone touches or services the box. Prepare the new outlet now using the pliers’ right next to the scored line. As you may know, GFCI outlet has five different connectors for different purposes. It is important for you to know which connector is used for what. Black and white wires are two sets of connectors i.e. hot and neutral respectively. One set is labelled as LINE which is for incoming power and other is LOAD which is the downstream of the GFCI and protected by it. On the old outlet, there are marks and if you cannot see them, turn the power and find the hot wire with a non contact tester. This hot wire is the one bringing power into the box. Connect this hot wire with white wire i.e. neutral wire to the LINE connectors. Turn off the power. As the GFCI outlet contains push in and screw terminal connectors, few timers use only the latter ones. Push in connectors offer better reliability. Going ahead, don’t forget to check if the wires are stripped to the right length. On the side of the outlet, there is a gauge. Push the wires into the holes and tighten the screws. Wrap electrical tape around the outlet properly to reinstall the outlet. Push the outlet into the box carefully and replace the screws holding the box. Don’t screw the screws too tight and only far enough to ensure the outlet is almost flush with the wall. Reattach the cover plate and turn the power on. Plug in your circuit tester and you will see amber lights lighting up whereas the red light will be off. Now push the test button and there will be a sound of snap and all the lights will go out. Then press the reset button to see all the amber lights turn on. VOILA! You did that right. 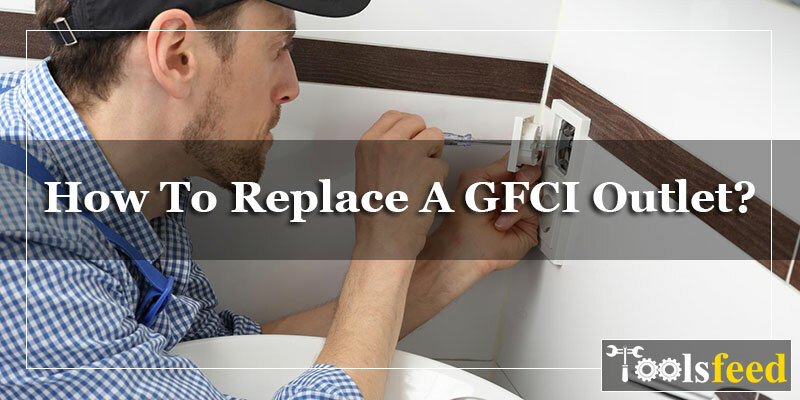 All you need is to follow the right procedure while replacing a GFCI outlet and with this step by step approach, you will be able to do it properly. Make sure to take every possible precaution while replacing and reinstalling the outlet as you can get electric shock if handled inappropriately. Also, keep all the tools ready beforehand when you start with the process to enjoy seamless experience. If you think you cannot do it yourself, get help from a professional or else you can get stuck in a huge problem. Connecting the wires is of utmost importance as a little mistake will cost you much. What Solvent to Use in Parts Washer and Why?